Tag Heuer, the much loved Swiss watch brand completes 150 years. 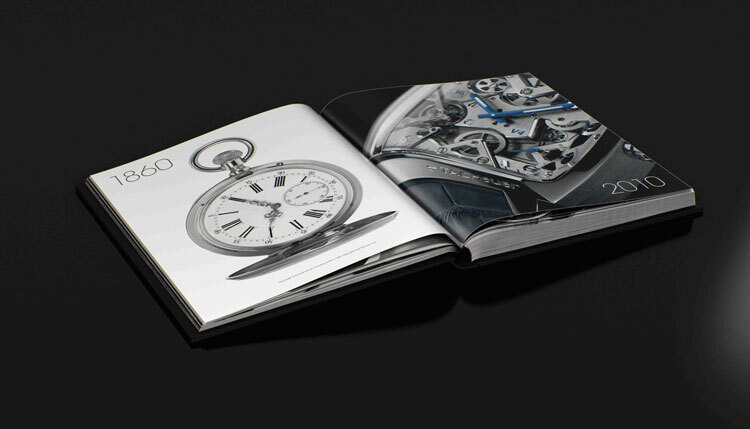 To commemorate the occasion the Manufacture has come out with a 216-oage book, Tag Heuer 150 years. From a small workshop in the Swiss Jura mountains, TAG Heuer has transformed into a watchmaking legend. Recognized throughout the world for its luxury sports watches and pioneering work in chronographs, TAG Heuer watches epitomize prestige and performance, brilliantly fusing technology with design. TAG Heuer has revolutionized 150 years of watchmaking history through a constant pursuit of excellence and innovation, maintaining a strong link between the company of today and the people who have shaped its history. From heroes of the past to the stars of the future, our ambassadors read like a who’s who of modern history: Edouard Heuer and Steve McQueen, Ayrton Senna and Leonardo DiCaprio, Lewis Hamilton and Shah Rukh Khan, Tiger Woods and Maria Sharapova. Together they all share a strong determination to achieve their ultimate goals, pushing the limits of what is possible through hard work and mental strength. We cannot know what the future holds, but we do know that if we continue to look forward, we will be the ones who shape it. The 5kg book published by Assouline is available at all Tag Heuer boutiques. Available also on TAG Heuer website (www.tagheuer.com). In 1928, the engineer Jean-Léon Reutter defied physical laws by devising a clock movement designed to run for several centuries without wearing out or requiring any external intervention. Fascinated by this revolutionary invention, Jaeger-LeCoultre applied its manufacturing capabilities to perfecting the mechanism and handling its development. The Atmos clock was born. Today, although constantly refined, the principle is the same as ever: the energy required to drive the clock is supplied by changes in temperature. The secret lies in a hermetically sealed capsule containing a gaseous mixture – initially mercury – that dilates when the temperature rises and contracts when in drops. In conjunction with the clock’s mainspring, the capsule acts as a mechanical lung, which ‘breathes’ in and out, and in doing so winds the barrel in step with atmospheric fluctuations. Even a one-degree Celsius shift is enough to guarantee a full 48-hour power reserve. Its annular balance also operates in an amazingly economical manner: by oscillating just two times per minute, its energy consumption is 250 times less than that of a conventional wristwatch, which beats at an average rate of 300 vibrations per minute. This environmentally-friendly mechanism that was always far ahead of its times is so sparing that it would take 60 million Atmos clocks to equal the energy consumption of a 15-watt electric bulb. This impressive technical feat is matched by a design that evolves in step with the times. Jaeger-LeCoultre has continuously evolved the Atmos line by imbuing it with a strong aesthetic identity. Each model features a clever blend of functionality and style, lending an emotional and cultural dimension to the measurement of time. The new releases introduced in 2010 at SIHH (Salon International Haute Horologerie), Geneva also highlight the Atmos odyssey in spectacular glass or crystal cases combining art, design and manufacturing expertise. Atmos Réédition 1930: Beneath its bell-shaped glass cabinet, the brass dial clearly proclaims its Art Deco heritage. It’s understated elegance is graced with black-tipped white hands gliding over 1930s style handwritten numerals. A broad central opening reveals a glimpse of the intricate workings of the movement, which is entirely hand-decorated in keeping with the noblest fine watchmaking traditions. A steel base that is so fine as to be as almost invisible accentuates the pure, airy lightness emanating from this commemorative model, creating a feeling of time literally standing still. The Atmos Réédition 1930 is issued in a limited series of 300. 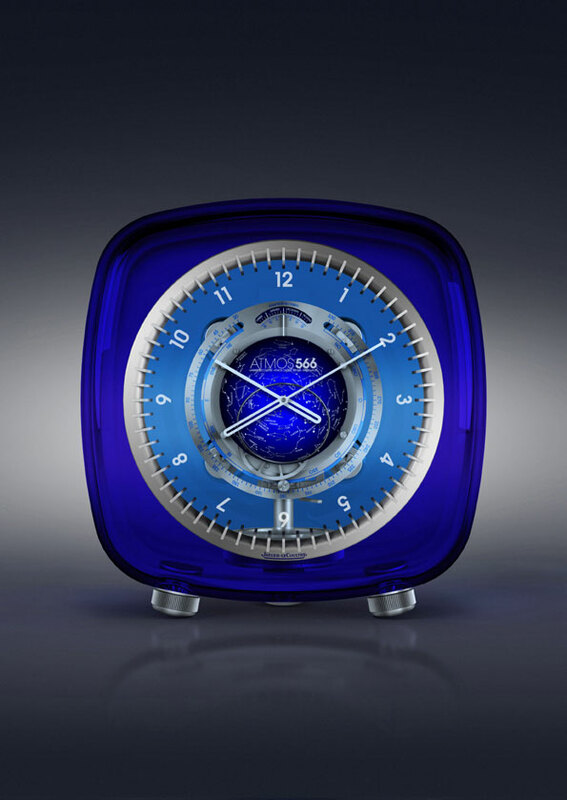 Atmos 566 by Marc Newson: The Atmos 566 by Marc Newson transforms Baccarat crystal into a second skin. The generously proportioned cabinet allows light to flood in and illuminate the complicated mechanism. The hours and minutes rub shoulders with the sky chart of the Northern hemisphere, with the cardinal points and zodiac. The months are displayed on a rotating disc at 6 o’clock along with the equation of time. This truly fascinating model recounts infinity and conveys a sense of the absolute, transcending both time and space. 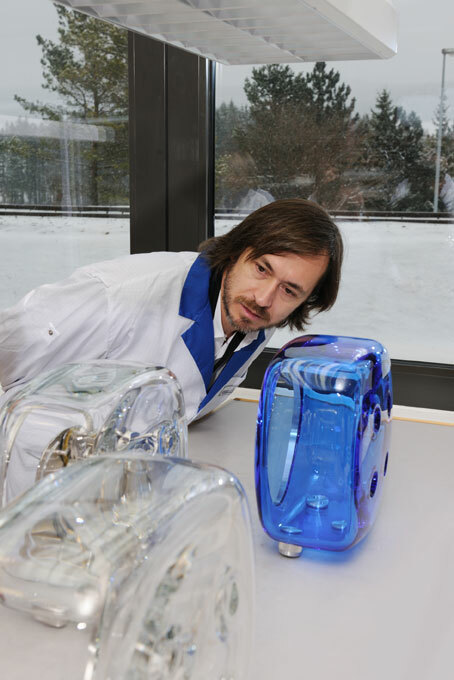 This rare and precious alchemist’s blend transforms the Atmos 566 by Marc Newson into a modern-day classic and a genuine collector’s objet d’art.The Atmos 566 has two versions – a limited series of 28 in blue and another 48-piece translucent edition. Netherland-based Danish Design, which has a collection of over 800 watch models launched its watches in India recently. Since 2006, the company started with young Danish Designers who specially design for Danish Design: Martin Larsen (2006), Anna Gotha (2008) and Lars Pederson (2009). The watches are not only sold in the watch and jewellery shops but also in design shops. Double D. with its slogan “Pure Scandinavian Design” is popular in over 30 countries. 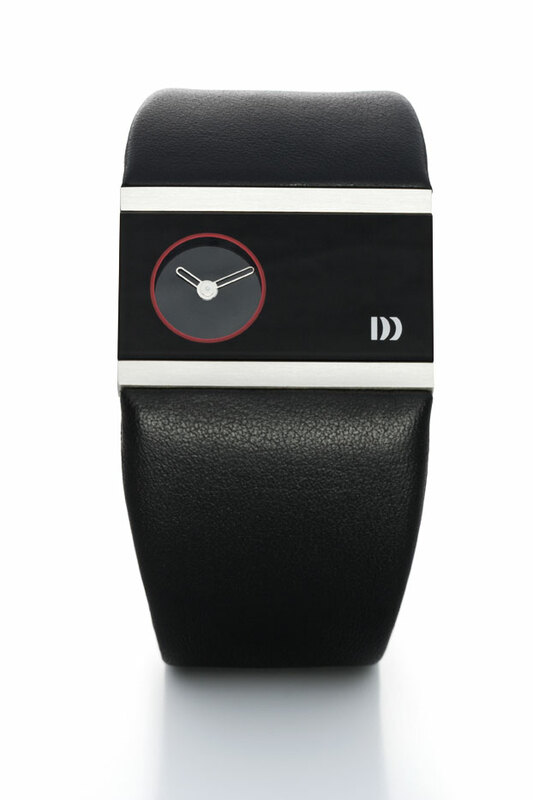 Danish Design watches range from Rs. 5,500 to Rs. 20,000. Mehta Times will distribute, retail & service the entire range of Danish Design watches in a phased way across India. Vacheron Constantin generated lot of excitement at SIHH 2010 with the launch of its new collection which brings the ancient Japanese lacquer technique on its watches. The brand is opening up a whole new horizon for combining watchmaking and decorative techniques, by offering for the first time a Métiers d’Art collection in which part of the work is done outside Geneva: bringing in the ancestral Japanese lacquer technique known as maki-e. Literally meaning “sprinkled picture”, maki-e is the most sophisticated of all lacquer techniques, designating a decorative operation in which the design is created by delicately sprinkling gold or silver dust over lacquer – usually black – while it is still wet. 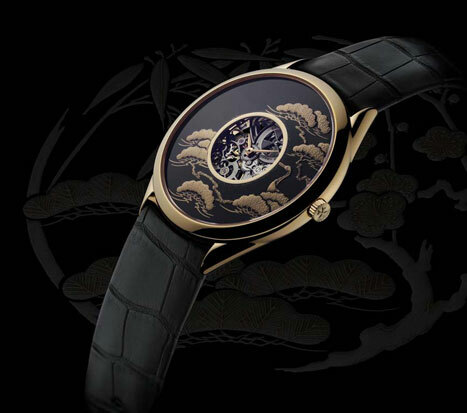 This union between the craftsmen of one of the oldest Japanese lacquer companies, Zôhiko – headquartered in Kyoto since its founding in 1661 – and Vacheron Constantin – the world’s oldest watchmaker, which has been making watches in Geneva since 1755 – was born a remarkable embodiment of the same core values: the Métiers d’Art – La symbolique des laques collection. The symbolique des laques theme will change over a period of three years, with each year bringing a new set of three watches in a limited series of twenty. Each set will feature motifs selected from the vast symbolic treasure trove of Far Eastern artistic traditions. The first set will explore the theme of long life with “The Three Friends of Winter” – Saikan no sanyû : the pine tree, bamboo, and the plum tree. Crafted in 14-carat white gold, the legendary ultra-thin Caliber 1003 has been chosen by Vacheron Constantin to equip this series of timepieces. In order to magnify the overall harmony and to ensure that the maki-e craftsmanship is suitably highlighted, the Manufacture has opted for a ruthenium treatment which – by toning down the natural radiance of gold – creates a particularly elegant effect on this model. The sapphire crystals on either side enable one to admire the exceptional finishing, and in particular the bevelling craftsmanship performed in the workshops of the Geneva-based Manufacture.